Are you the type of person to reach out blindly towards your bedside table and turn off the alarm clock once it rings, and then go right back to sleep? If you are, you need a change – a major change. You see, you may need a new alarm clock (since they might have fallen to the floor countless times before). 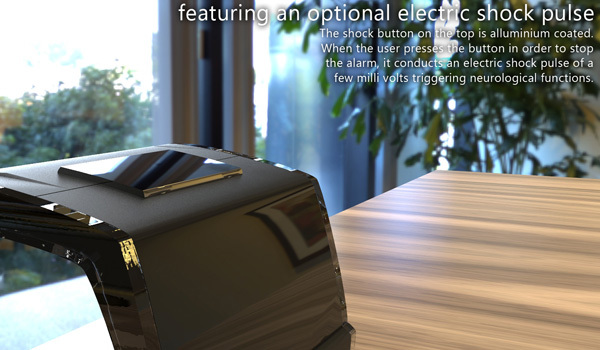 Thanks to 19-year-old engineering student Sankalp Sinha, we now have the singNshock, an alarm clock that is WAY MORE than an alarm clock. Admit it: you may have a very short attention span, and that could prove to be a problem when it comes to timekeeping or even the simple act of waking up early in the morning to be on time for your appointments for the rest of the day. 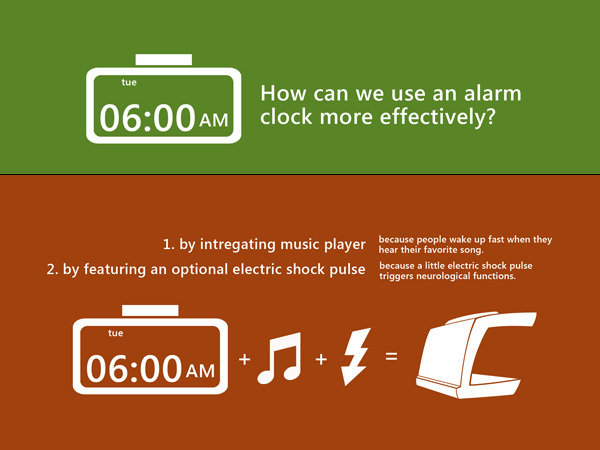 How will the singNshock Touchscreen Alarm Clock help you out? 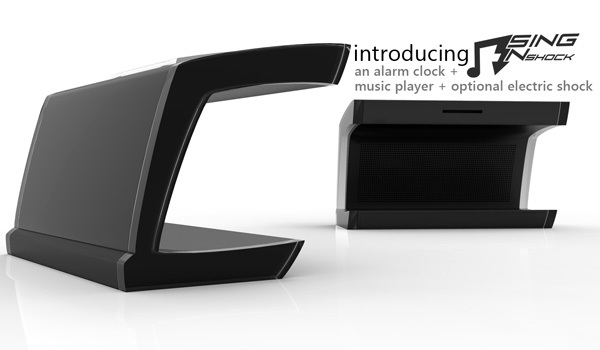 We did mention that it is more than your average alarm clock, right? 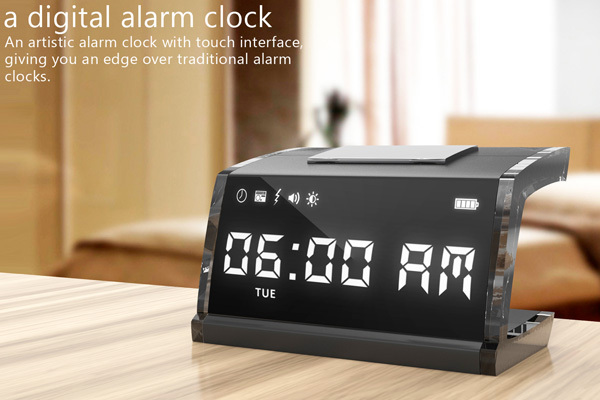 This digital alarm clock can be easily operated, thanks to its touchscreen feature. 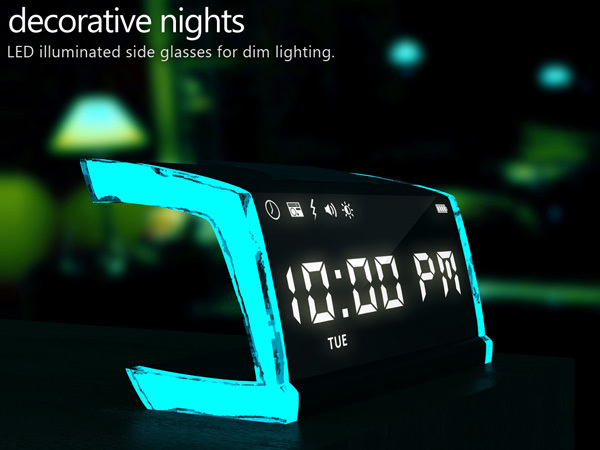 It has a clear and highly visible interface, so you wouldn’t fail to see if it’s time to get up even in the middle of the night. It’s digital, and it’s touchscreen. Everybody loves music, and the singNshock has a built-in music player and built-in speakers that produce quality sound. Naturally, it also allows the use of a memory card where all your favorite songs are stored. Just put the card in the mmc slot and listen to your heart’s content. 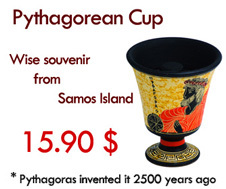 No cheating with this one. The moment you try to turn it off so you can go back to sleep, you’ll be experiencing a pulse that will dissuade you from doing that.